If you’re looking into plumbing services for your business, you should know that the old days of invasive, extravagant projects are no longer here. In 2015, commercial trenchless pipe repair is the first option for most companies, and for good reason. Trenchless options are just now gaining popularity with homeowners in the last 15 years, but smart businesses have been taking advantage of it for decades. Non-invasive inspections. 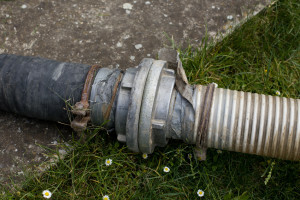 Regular drain inspections are just part of owning a business, and sometimes it can end up being more trouble than you bargained for. Older plumbing methods would force a plumber to dig into the ground to inspect pipes manually. These days, the best plumbing companies use a sewer camera that can identify any blockage or other issues without digging up your pipes. A sewer camera is the first step of your trenchless repair, but by utilizing this tool before commencing a repair, you’ll potentially save yourself from unnecessary work being done. Preserve your landscape. There is no better way to drive away valuable customers than by leaving your parking lot and landscape gutted from repairs. It conveys a message that you aren’t doing everything in your power to expedite the process. With trenchless plumbing, that will not be an issue. Since it’s completely non-invasive, your landscape will remain intact. In an Angie’s List poll, 73% of homeowners say they’d pay more for sewer pipe replacement if it would preserve their existing landscape, and most business owners agree. Trenchless repair pays for itself, and though you may be spending about 30% more up front, you’ll be saving thousands of dollars on restorative work to your landscape. Save time. Commercial trenchless sewer repair keeps your building’s landscape beautiful and saves you money, so it has to take weeks to complete, right? Wrong. In addition to being the most effective plumbing option, trenchless repair also takes the least amount of time to complete. While older methods would take up to a week to finish, trenchless repair can be done in as little as 24 hours. You simply can’t afford not to choose commercial trenchless pipe repair for your business. Find a great plumber in your area who is experienced in commercial trenchless pipe repair. Your landscape will be preserved and your plumbing will be fixed before you know it. It could end up being the best investment you ever make for your business.